I could tell you the usual boring stuff, like that I have a bachelor’s degree from University College Dublin (2001), qualified as a fitness professional graduating in Exercise and Health Studies with the National Training Centre in 2002, qualified in Traditional Chinese Medicine and Acupuncture as well as Western Clinical Medicine from the Lansdowne College of Acupuncture and TCM in 2006, advanced qualification in Oriental Body Balance, a multi-disciplinary approach to health, (2009), Chinese Patent Herbs (2010) and Chinese Herbal Pharmacology in (2013) and that I have a lot of letters after my name. And that’s where my story begins. Crippled. After 12 years of dedicated martial arts practice, my knees were beginning to ache. It started as a dull sensation, a feeling of trapped air just below the knee cap. Soon after, I could hear it creaking with each movement. But I continued training regardless. I could put up with a dull ache because I would not tolerate missing training. But slowly, gradually, it crept up on me…till one morning I woke from a restless sleep to find that my knees just couldn’t support me. I’d stopped cycling a few weeks before, I’d reduced my walks, and I admit I was less than delighted when we did kicking drills. Now, as a result of misplaced machismo, I was unable to walk without pain, unable to function – unable to practice or train in the martial arts that were the core of my life. The funny part was…I had just turned 19 and was hobbling like a man in his 90s. I dragged myself to the doctor’s (with extreme reluctance I may add). The diagnosis was simple: my knees were worn out. I’d have to get knee replacement surgery, spent months in rehab relearning to walk, and never again could I train in the martial arts. To say I was crushed would be an understatement. Being young and stubborn, by which I mean downright stupid, I refused treatment and argued that there had to be another way. Luckily for me…I was right. A proud moment. With another of my super cute little miracles! I was advised to see an acupuncturist so, being desperate, I did. I was diagnosed with “cold invasion of the joint”. Now that sounds weird, doesn’t it? But it’s actually quite a good explanation. As I was to learn later in Traditional Chinese Medicine, many patterns of disease and illness are described with metaphors. Think about your fingers when it’s really cold outside – the joints become cold, stiff, and have that tight, constrained, the sore feeling when you move them; pretty much what was happening in my knee. The acupuncturist took five needles and put them in the “eyes of my knee”. Six sessions later I was pain-free. At the end of my 12th, my knees felt incredibly – strong, supple and capable of delivering confident kicks and sustaining deep stances. Today, I run one of the busiest acupuncture clinics in Ireland, The Meridian Acupuncture Clinic. Truth be told, I am so busy that I often have to turn away patients and place them on a waiting list. It is often 4–5 weeks before I can get someone into my clinic. And that is what prompted me to write this website. However, all this only explains part of the WHY. Now you know I became an acupuncturist because I wanted to change lives the same way mine was – little did I know what a profound impact I was going to have and how. During my final year of studying Traditional and Clinical Medicine, my girlfriend of 4 years discovered she was pregnant. We were overjoyed and terrified at the same time. We were really happy, and excitedly planned out this new path in life. Picking furniture, deciding how I would set up my clinic to support my family, and make sure I could be the very hands on dad I wanted to be. It was awesome. 9 weeks in, she suffered a miscarriage. She was devastated. I was devastated. For many men, the problem seems to be the haven’t “lost” anything. There was nothing to see or hold or feel so there was nothing they could connect with and so, nothing lost. “What’s the big deal? Well, that wasn’t me. I could see the pain and disappointment my girlfriend felt. I knew how she had felt life stirring inside her and now felt its absence. I knew that she had emotionally connected with this child. Had imagined a future, hundreds of shared moments, dreams, and goals achieved. And all that had been taken from her. And that’s how it felt to me. All the moments I had pictured. All the joy and love I had. Taken. And, again, this is perhaps a bit unprofessional of me, but it’s my page and my site, and I’m “ok enough” now to be honest about this, publically. But we hadn’t “lost” a baby – we did nothing wrong, more importantly, my girlfriend had done nothing wrong. She hadn’t “lost” anything. What we had was taken. Ripped from us. It didn’t matter to me that miscarriage is a common medical occurrence. It didn’t matter to her. She was stronger than I, but it broke something in me. And it broke us. After all was said and done I knew one thing for absolutely certain then, something I still feel as strongly about – I never, NEVER wanted anyone to feel that pain. And I could fix this, I could stop this. So I threw myself into my study and devoted myself to the field of reproductive medicine and miscarriage prevention. Today, I have helped over 160 couples bring their babies into the world. Couples just like we were once, scared and frightened after a miscarriage, terrified of another. I have prevented that happening and helped their children into the world. More than that I have helped so many couples that have been told they could never have children naturally to do just that. For over 10 years now I have been treating couples who have struggled to conceive in my private TCM medical practice. I have seen the hopeless cases – the couples who have come to me with tears in their eyes and hearts wounded and bleeding, because they have been told, they have a fertility problem; or worse there is no reason, they have unexplained infertility. I have seen the women who have gone through round after round of IVF with no success. I have seen the women told their FSH is too high, their AMH to Low and their eggs all but gone, that IVF would have a 2% chance of succeeding and that, if they wanted a baby it would have to be through egg donation. And I have helped them, using all natural methods to overcome all this and have the happy healthy babies they longed for. 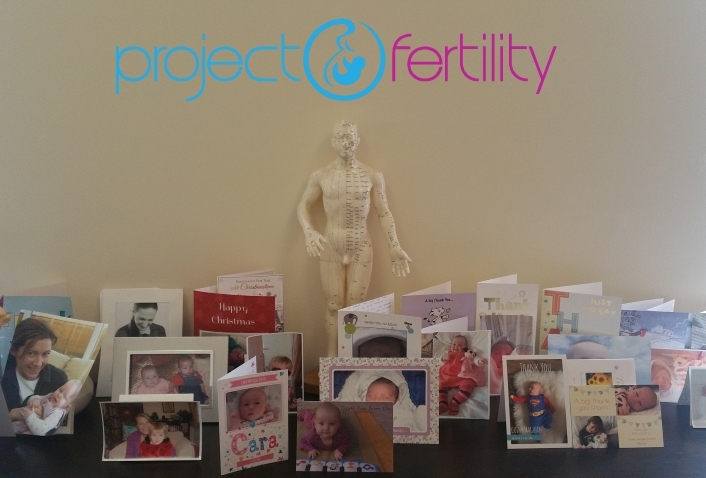 Below are just some of the amazing images of the little miracles I’ve helped bring into the world and some of the many thank you cards and letters from grateful parents who I have been privileged to help. 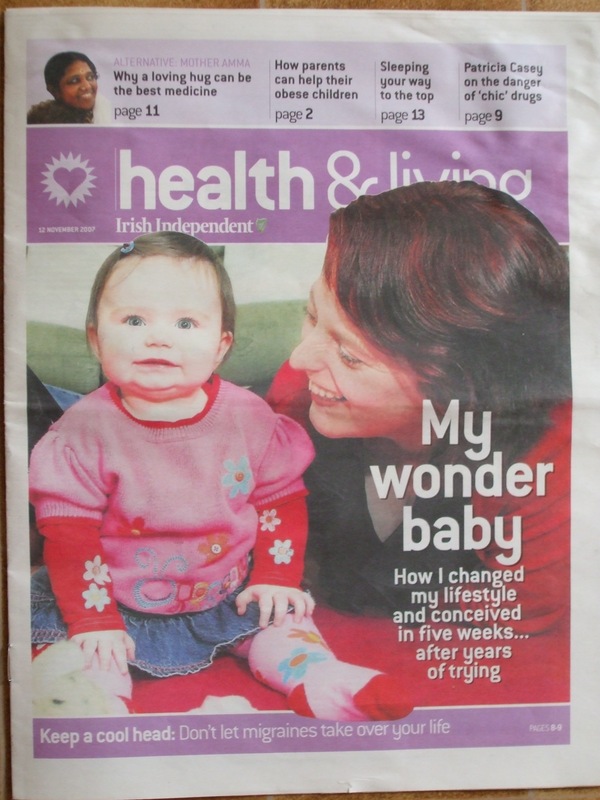 My success in the field has seen articles and TV features about me and my clinic appear in national papers such as the Irish Independent, Examiner, Herald, Times and more and led to a clinic that is booked months in advance. And that’s the problem. 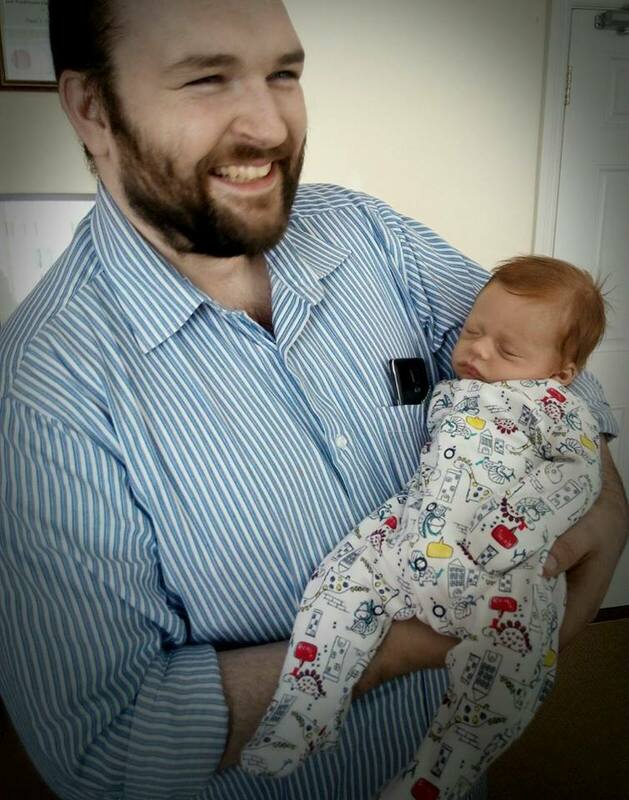 For over 10 years I have run a traditional fertility practice. If you wanted my help, you came to my clinic and we talked about you and your goals. But that was far too limiting. And that’s when I decided to develop Project Fertility. 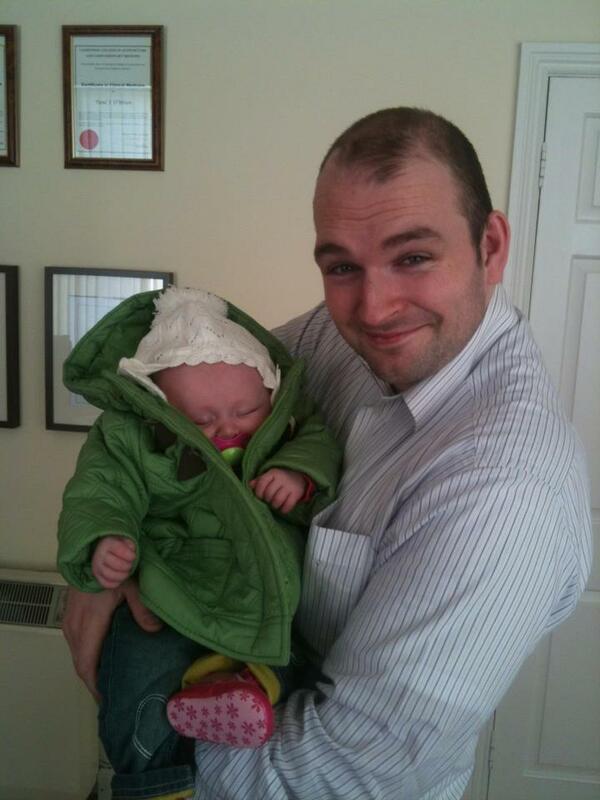 Thanks to the internet I have been able to solve peoples fertility problems where all else has failed. 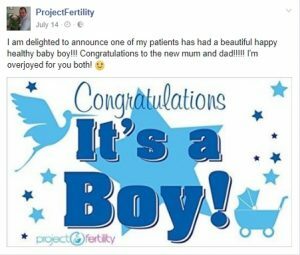 I have developed a comprehensive 14 point process that allows me to accurately and effectively diagnose a patient’s unique fertility problems in 20 minutes or less. You don’t even have to come to my office. In fact, that’s why I created this site…I want to be able to help more people! But for that, we need to talk. You can set up a Free 1-on-1 fertility troubleshooting session with me here. On this site, you’ll find lots of free resources, including my 9 Reasons Fertility Guide, and loads of helpful articles. You can also find daily inspiration and fertility boosting tips and tricks on my Facebook page. I believe that each of us is entitled to lead a healthy, energized and deeply fulfilling life and I try to lead by example and balance my practice and coaching work with physical activates such as the martial arts, art, family and friends. I study, train and teach a variety of modern and classical martial arts and hold multiple black belts and instructor qualifications. The martial arts are a wonderful way of socializing, physical exercise and teach wonderful life lessons and philosophy (often times in clinic I use teachings in classical martial arts to explain complex life strategy). 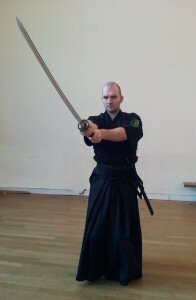 I’m also a two-time International Bronze Medalist in Iaido (Japanese Swordsmanship), and have represented Ireland at the European Iaido Championships and received the Fighting Spirit Award from Oshita Masakazu Sensei at the Masamune Taikai in 2015. I balance this with quieter activities such as Origami and Lego. 🙂 (I’m a big kid).